WORK TABLE ........................... 7-7/8" X 14-1/8"
MAX. 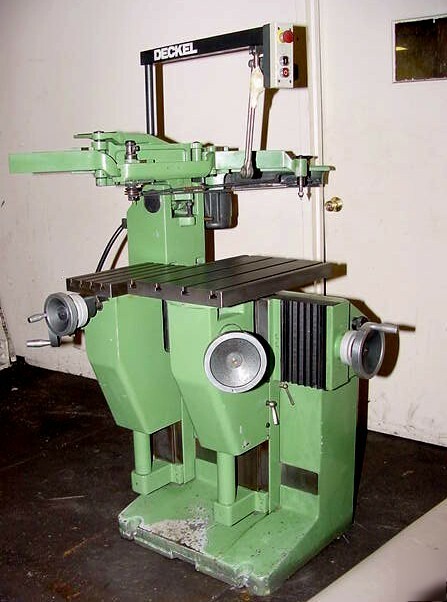 DISTANCE SPINDLE NOSE TO WORK TABLE TOP .. 15-3/8"
LONGITUDINAL TRAVEL OF WORK TABLE .............. 6-1/4"
CROSS FEED OF WORK TABLE ...................... 11-3/8"
COPYHOLDER TABLE .................... 12-1/2" X 20-1/2"
MAX. DISTANCE, TRACER HEAD TO TOP OF COPY TABLE 11-3/8"
COPY TABLE SWIVEL RANGE......................... 360 DEG. APPROX. WEIGHT ............................ 1000 LBS.